The new variant of the Oppo Find X Lamborghini Edition will be marketed. Actually, the Oppo Find X comes in three versions, namely the basic (original) model, the Find X Super Flash Edition, and the Lamborghini Edition. So far, only the original models have been sold. 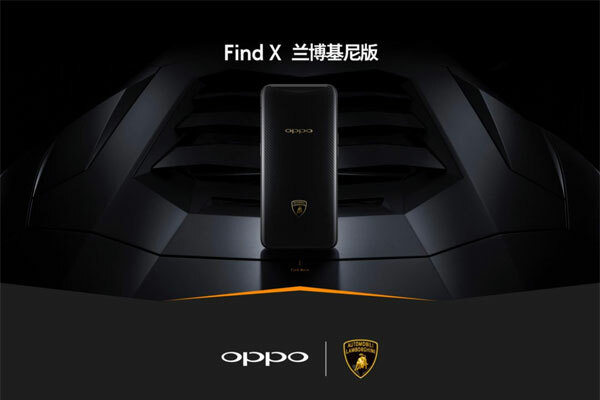 Then according to the latest news Oppo again opened a pre-order for the Find X Lamborghini Edition in China on August 10th. The Oppo Find X Lamborghini Edition not only has the Lamborghini logo printed quite prominently on the back of the cellphone, but the identity of the Lamborghini Edition is also displayed in the packaging box, and accessories. And on the inside. You need to know, Find X Lamborghini Edition is the first Oppo phone that supports fast VOOC Super charging. According to the Oppo claim this feature can recharge the 3,400 mAh battery from empty to full in just 35 minutes via a 50W charger. The Oppo Find X Super Flash Edition also supports this charging technology. Oppo Find X Lamborghini Edition also has 8GB RAM and 512GB ROM. Unlike the other two variants that come in blue and red, the Oppo Find X Lamborghini Edition has a carbon fiber appearance under the glass that gives a more premium appearance. In addition, the UI on this mobile phone has also been adapted to the Lamborghini Edition theme. Other specifications are the same as the other two models. Including the use of Snapdragon 845 processor, pop-up slide camera, unlock mechanism with face scanning, and so on. 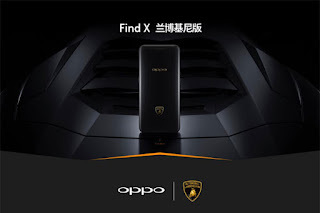 Oppo opens the Oppo Find X Lamborghini Edition pre-order at a price of 9999 Yuan (equivalent to IDR 20.4 million) and is available at the official Oppo online store. Included in the Oppo Find X Lamborghini Edition box are casing, charger with cable, and a pair of earphones that are all branded "Lamborghini". There is also a 3.5mm adapter for USB-Type-C, a cleaning cloth for the screen, and a SIM-tray scribe. 0 Response to "Ready to Circulate, This is the Price of the Oppo Find X Lamborghini Edition"